Palmako Surrey : Palmako Surrey is an attractive Log Cabin in a range of 3 sizes all using 70mm wall logs. The Palmako Surrey also feature a 70cm canopy, double doors and two windows all of which are DOUBLE GLAZED, making this cabin a light and airy building with excellent insulation qualities for year round use. 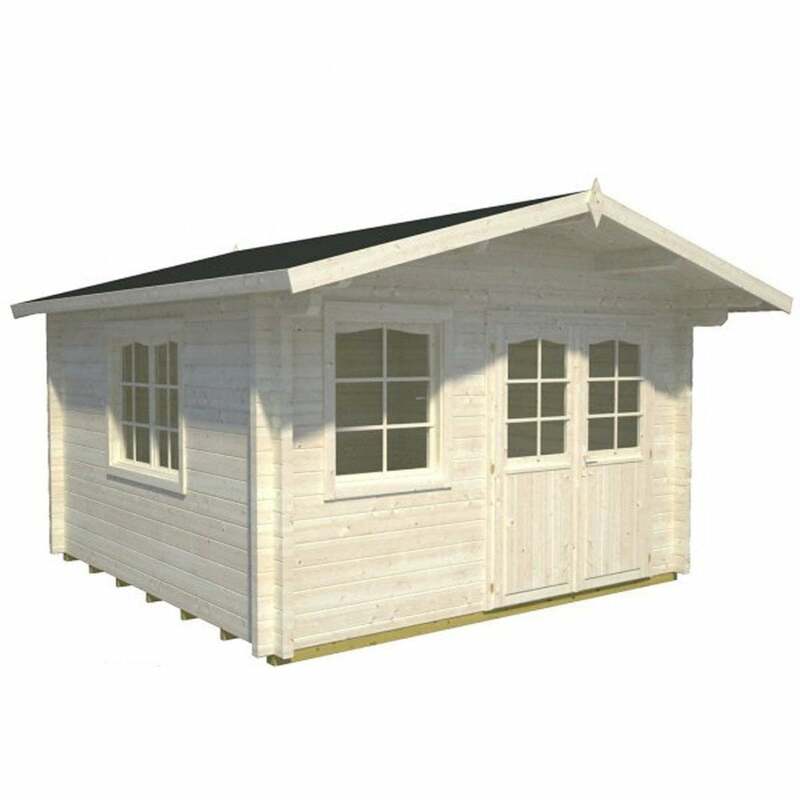 This Log Cabin is available in Three sizes allowing you to choose the size best suited to your garden. Size A Features a Double Window and a Single Window, Size B and C feature 2 x Double Windows (and no single windows in size B and C). Window and door can exchanges places during build if required.